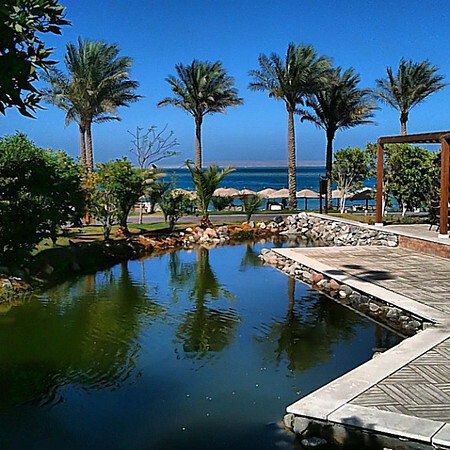 Egypt travel photos from the Egyptian coast, from Marsa Alam to Hurghada. 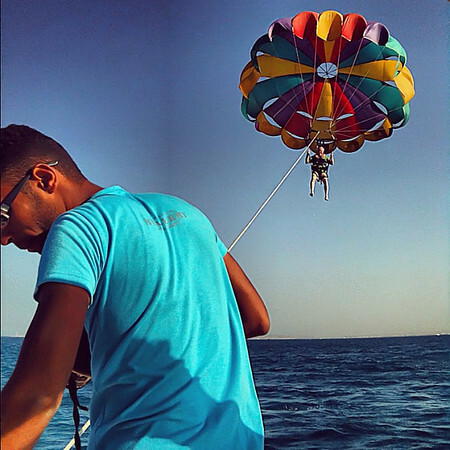 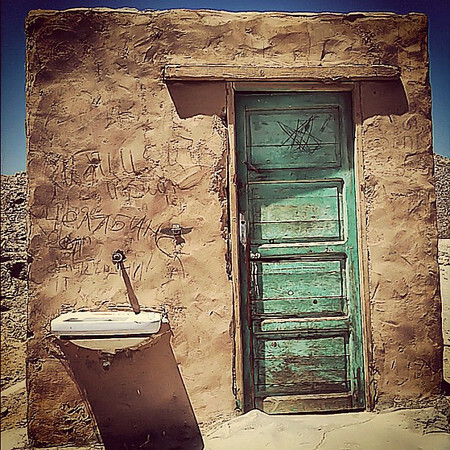 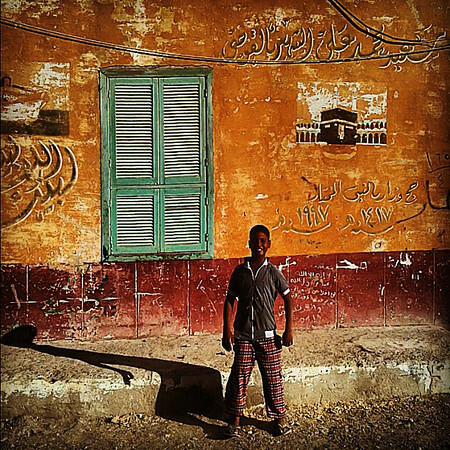 Not your average travel experience, including the village of El Quseir, Egyptian darvish (dervish) dancing, Egyptian markets, quad-running in the desert, parasailing the Red Sea, camel rides, and a chat with an Egyptian bedouin. 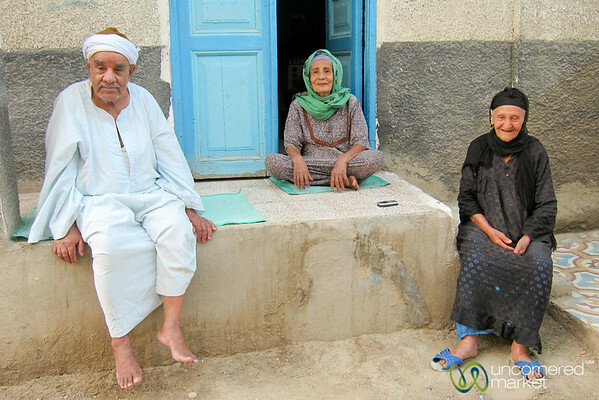 An Egyptian family sits outside at El Quseir near Marsa Alam, Egypt. 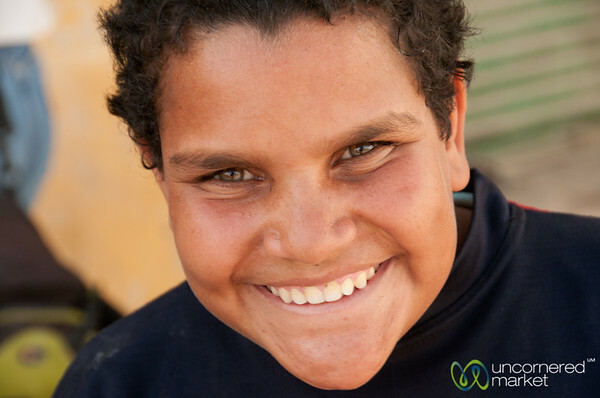 A smiling Egyptian boy in the town of El Quseir near Marsa Alam, Egypt. 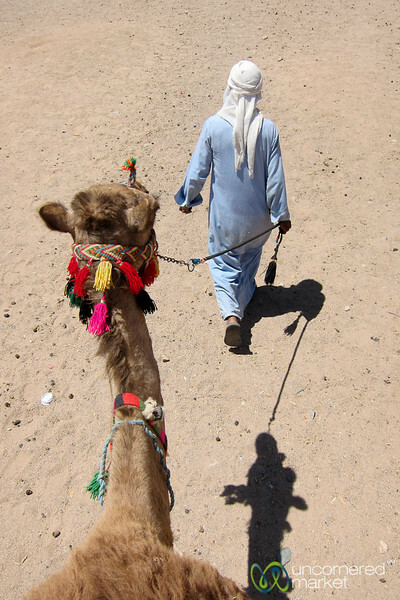 A Bedouin man leads a camel through the desert near Hurghada, Egypt. 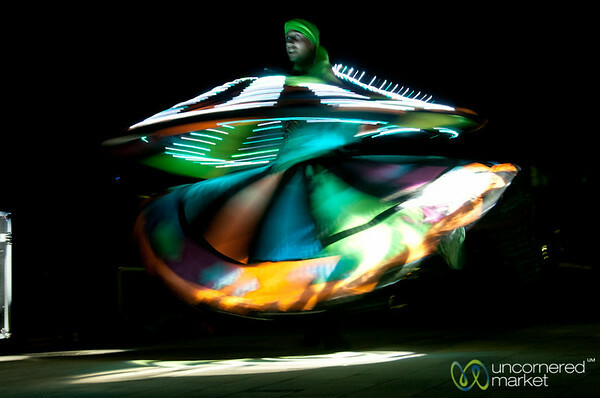 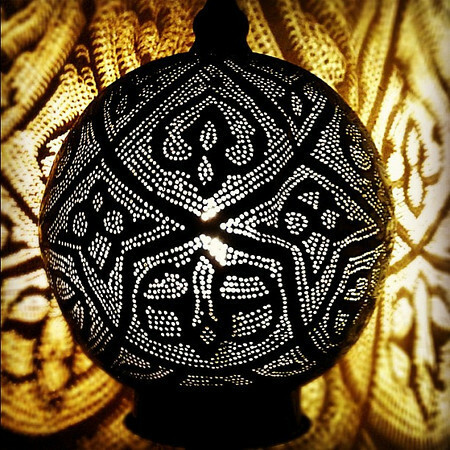 A Tanoura Dance, a spinning dancer in Egypt. 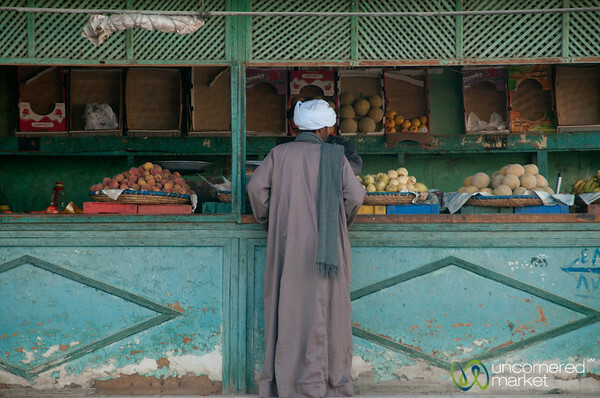 An Egyptian man shops for vegetables in El Quseir near Marsa Alam, Egypt. 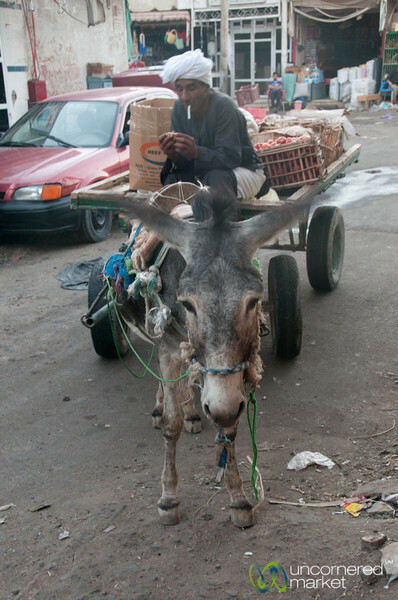 Donkey cart and smoking owner at Hurghada Market, Egypt. 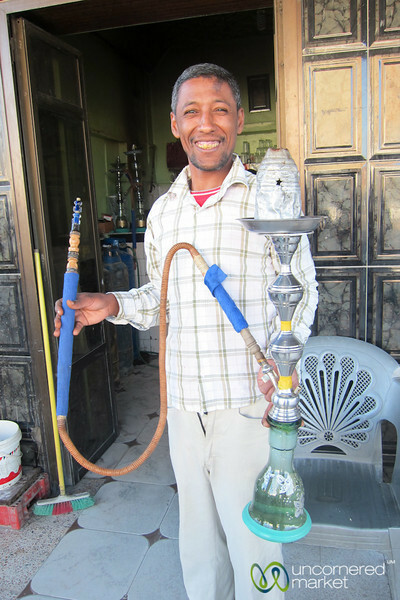 An Egyptian man with a hookah pipe (water pipe) in El Quseir near Marsa Alam, Egypt. 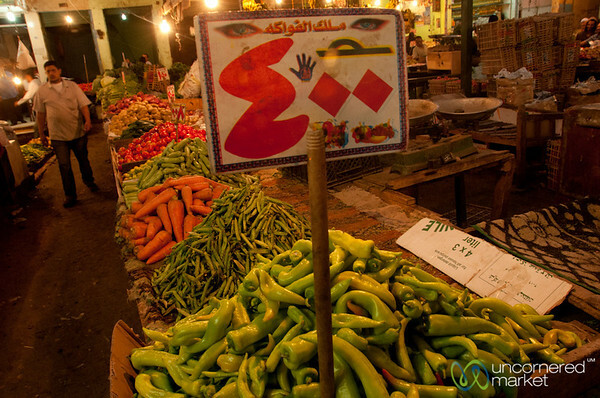 Piles of vegetables at Hurghada's market in Egypt. 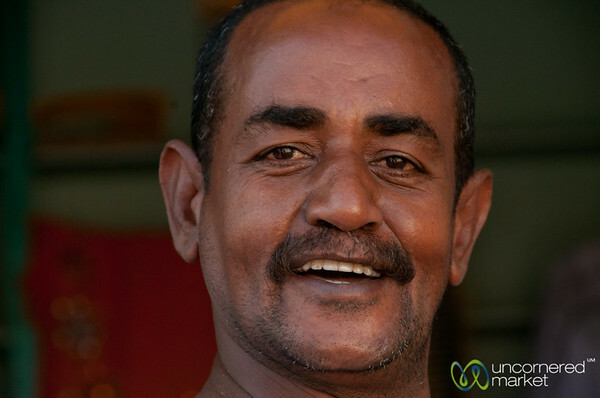 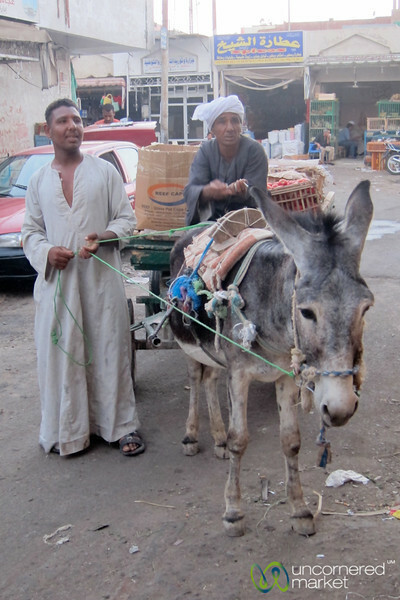 Egyptian man at Hurghada market in Egypt. 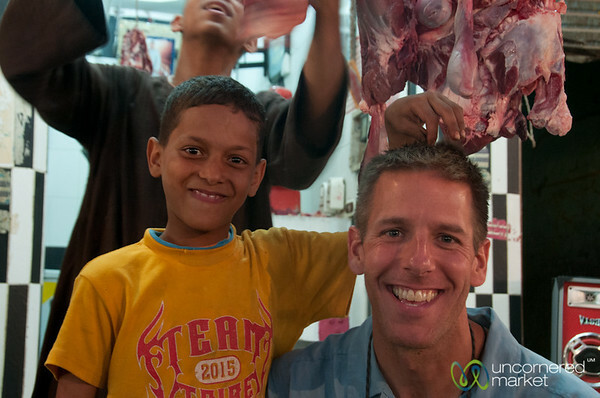 Dan makes a new friend at the Hurghada market in Egypt. 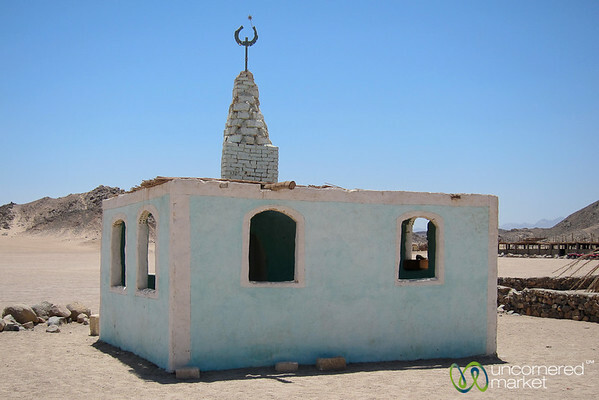 Desert mosque near Hurghada, Egypt. 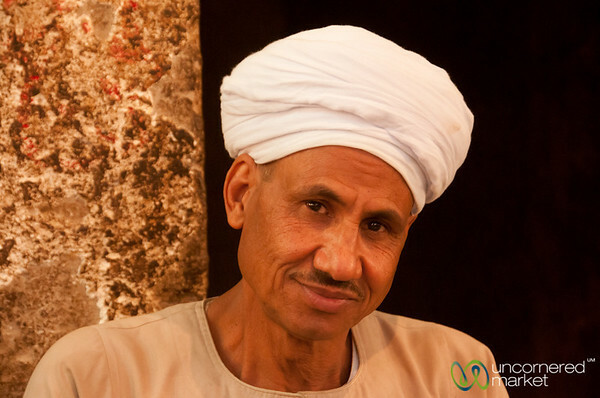 An Egyptian man who welcomed us into his shop in El Quseir, Egypt. 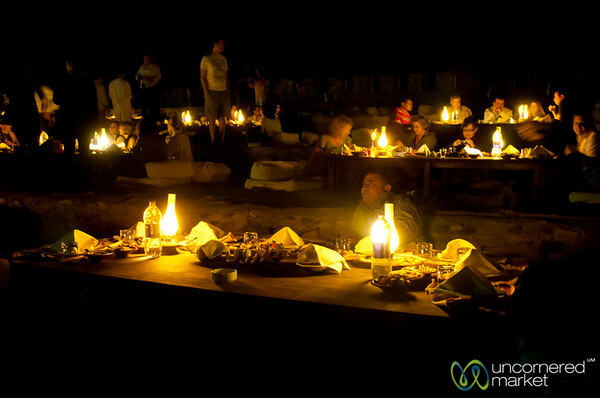 Tables and dinner prepared in the desert for members of the UNWTO Tourism and Media conference in Marsa Alam, Egypt. 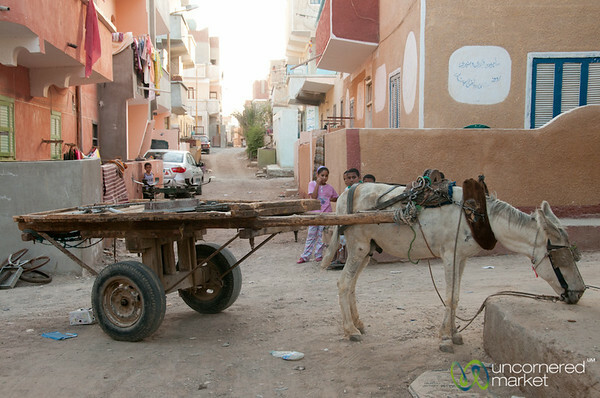 A donkey cart and street scene in El Quseir, Egypt.